He was born on the 15th of March in 1978 at Novi Sad. 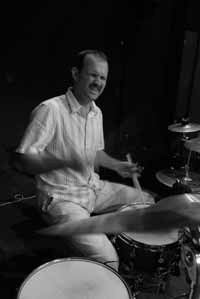 He privately pursued piano-studies for four years, while he was learning playing drums from 1993 as an autodidact, and only two years later he has become an active participient of the jazz-life of Novi Sad. During the years he has played the drums in many jazz-groups and as a musician playing on percussions occasionaly he played in symphonical orchestra as well. He playes intensively together with Szilárd Mezei from 1998 as a pillar of the group. Since 2000 He is a permanent member of groups of Boris Kovac, which went on tours several times all over the world.